Bread is one of the few constants in the food world. Recipes and methods for baking bread haven’t changed much over the centuries. When you think about it, it really is amazing that people all over the world still make bread using the same processes and recipes as their ancestors. 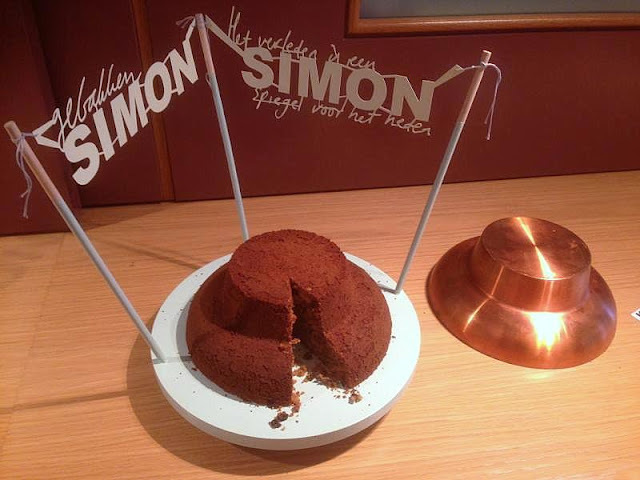 With this sense of history in mind, food designer Marije Vogelzang approached her latest project, which involves a sourdough, named Simon. 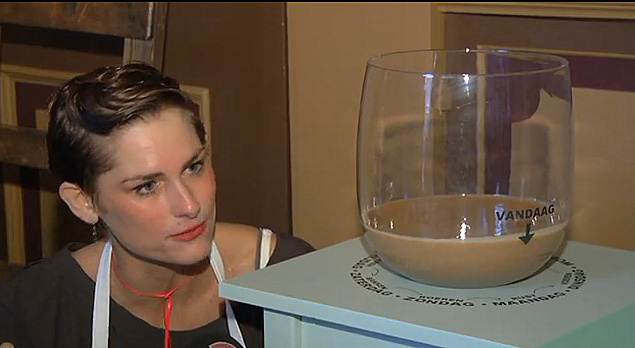 The project, which is a collaboration between Marije and The Museum of Dordecht in The Netherlands, is held at the former house of banker and collector Simon van Gijn. 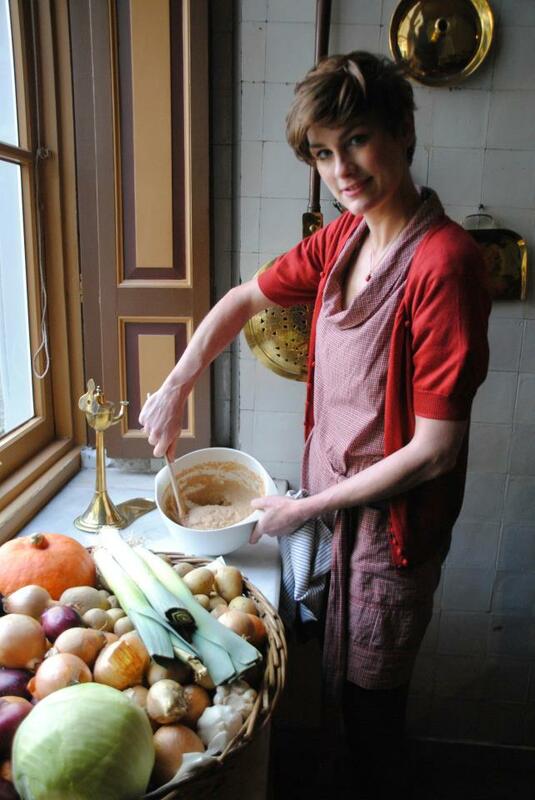 In the kitchen of this historic home, Maije has created a sourdough that permanently lives inside the museum. Because a sourdough culture will remain active, as long as it’s given flour and water regularly, Simon’s yeast will continue to develop, feeding off the molecules of the house as it grows. From Marije: Simon is site specific and can only be made in the museum. In this way I sort of "catch" the atmosphere of the collector's house. Once a week the sourdough is baked as a cake in a special copper baking pan I designed for it. When Simon is being baked the smell will spread through the premises making the house, which is a silent witness of the past filled with lifeless artifacts, come to life again. The Simon sourdough currently resides in the kitchen of the Van Gijn house, where it will remain, as a living organism. 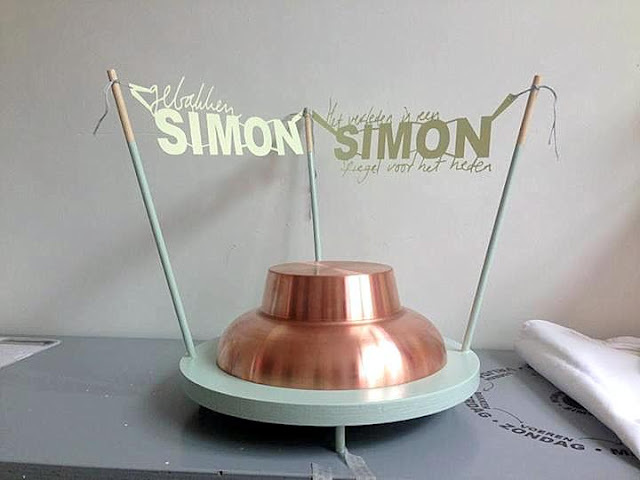 Visitors will be given an opportunity to take a piece of the Simon starter home with them. By using this starter to produce their own bread, they will be, in a sense, creating Simon’s offspring. how interesting! so many sourdough starters have a rich history, and this one is particularly unique. This is so fascinating - I just love historical food posts like this - thanks! !